CARPET CLEANER COMERCIAL VERSACLEAN Rentals Ft. Collins CO, Where to Rent CARPET CLEANER COMERCIAL VERSACLEAN in Ft. Collins, Wellington, Greeley, LaPorte, Loveland, Windsor CO and all of Northern Colorado. Commercial turbo vacuum motor removes more water and soil. 137" lift. Vacuum Hose length 25 ft. 12" wide double bend wand for easy cleaning. Weight 76 lbs, Height 42" Length 31" Width 20" 13.5 amps, 25 ft cord. Flood Extraction Machine. Powerful flood pumper removes water 15x as fast as a shop vac. Auto pump-out makes flood extraction hassle free. 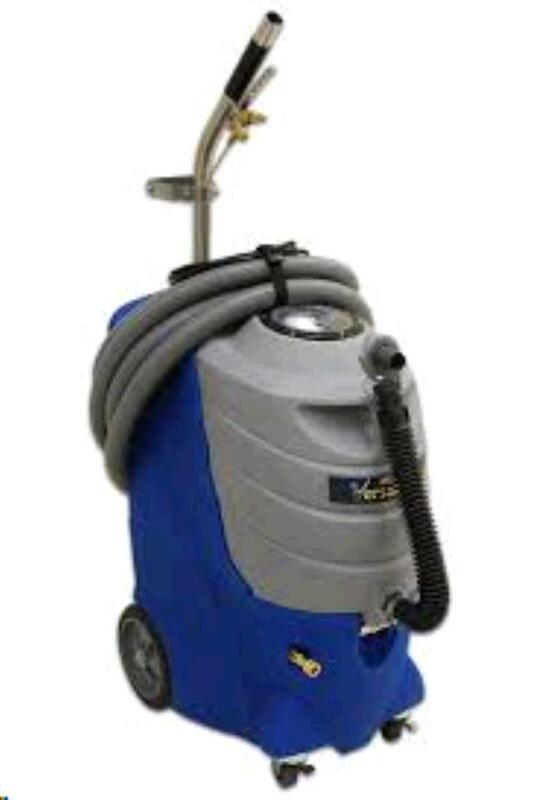 The VersaClean machine injects VersaClean cleaning solution deep into carpet fibers to blast soils away and suspend them in the cleaning solution. Our enhanced cleaning tool ensures maximum agitation and soil removal. Then the powerful VersaClean machine extracts the captured soils. VersaClean gives your carpets the same deep cleaning a professional can deliver - at a fraction of the cost. * Please call us for any questions on our carpet cleaner comercial versaclean rentals in Fort Collins, Wellington, Greeley, LaPorte, Loveland, Windsor CO and all of Northern Colorado.